For the past year and half, when there was an announcement about provincial-level party cadres in media outlets, it usually meant that there was an inspection team visiting, an investigation underway, or a verdict rendered regarding malfeasance by one or another official. Those notices haven’t disappeared completely, of course. But there’s been far fewer of them in recent weeks. A major reason seems to be that the Party leadership seems to be signaling that the anticorruption crusade has been scaring too many of the wrong officials—for example, those who were eager to see the crackdown on graft succeed so that they could start paying attention to local problems. These clean cadres bought into Chairman Xi Jinping’s political platform long ago, and they’ve been eager to implement reforms at the local level, only to be stymied as Beijing’s focus has been on cleaning up corruption. One of those reforms is very much a transformation, and because it’s so sensitive, cadres are reluctant to refer to it directly—even in private. The effort is this: dissolving the ties between officials and developers—a connection that was the fulcrum of local economic expansion and political advancement. Each side benefitted from that arrangement. Party members and government officials saw economic growth (particularly in the housing market), which got them promoted under Xi’s predecessors. Developers received special access and resources granted by those who made such decisions, so that they could continue honing their craft. For a local official, being good at your job meant getting more jobs. That almost always involved releasing land for sale to property companies, who would then lease it out for housing, manufacturing, or hawking it to other firms (which were often just extensions of government offices). The temptations were obvious, and evolved into a self-reinforcing ring of graft, which spiraled into deeper and more expansive levels of vice. So, if you were good at being bad, you’d get promoted—and the scale of your thievery grew; that is, you became a “tiger”. If you were just hovering around the edges, you were a “fly”. It’s been this connection between the private sector and public servants--a couple of decades in the making--that’s responsible for the vast majority of the local government corruption in China. And Xi and his allies knew it. For a while, the only way it seemed to get at the rot below was to decapitate those who were now at or near the top. So there were campaigns to snare “tigers”, and recent threats to go after “flies”—even an effort to grab both, because some in the Xi leadership clearly recognize that there’s a connection (for example in Henan, which has started to resemble a warlord province, impervious to Beijing’s supervision). Still, the anticorruption crusade was scary, and it was diverting: Local cadres began to believe that cleanliness was important than competence. They hunkered down, instead of saddling up. But there are some signs of change—or at least signs of experimenting with changes that would pull cadres away from worrying about inspection trips and push them to start working on problems that matter to the masses. Party publications have been encouraging officials “not to be afraid to play” for some time now. 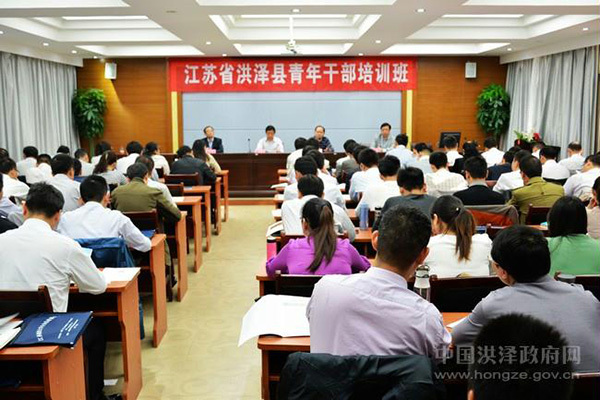 More recently, People’s Daily and other outlets have urged more tolerance for cadres who do experiment, arguing about efforts in Zhejiang that reform and innovation are process of trial and error, that failure is to be expected and not punished. The signals of forgiveness for being proactive are there. And in Jiangsu earlier this week, the head of the province—Party Secretary Luo Zhijun—proposed that the goal should be “to further improve the mechanism by which faults would be accepted and correct; to actively create conditions conducive to exploration; to have an atmosphere of work that would tolerate mistakes.” Luo and his colleagues put the problem as officials having “an insufficient mental appetite” [干部精神状态不振]—that there is a tendency on the part of some officials to say something can’t be done, or shouldn’t be done, or isn’t the problem, and then not act at all. In other words, cadres are not to be chastised for addressing local problems, even if those initiatives should fail. But they must do something. As ever, the question is, what's responsible for these moves? It’s possible that party reformers in Beijing are using the various obstacles with the anticorruption campaign that Xi and his allies have run into as an opportunity to push forward ideas, especially to get cadres to pay more attention to their real bosses than local tycoons. These reformers don't like the status quo of a cozy relationship and are signalling lower echelons that they expect action to do more than just transfer property. It’s also conceivable that the cleaner of the cadres are pushing for political cover so that they can experiment with new arrangements and new policies that are unsustainable without that support. Local officials might be seeing signs of unhappiness at the grassroots level. Whatever the case, it’s yet another instance of at least an attempt at reform. For that reason--and others--it's worth paying close attention to see where it goes, and how it all ends up.